It is difficult to find in Russia a more involved in project work territory than Krasnoyarsk region. Krasnoyarsk region is characterized by a rise in industry, energy supply system, science and education. 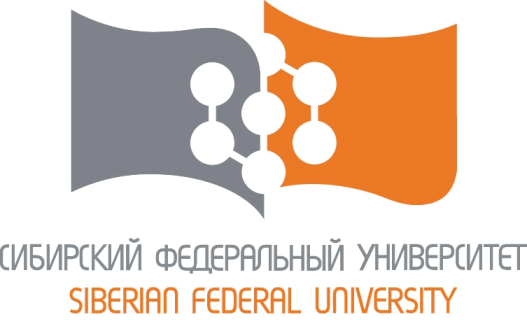 Siberian Federal University founded in 2006 is the center for training highly qualified specialists able to work all over the country including Far North. SibFU united the four biggest Krasnoyarsk higher educational institutions into one, and in 2012 Krasnoyarsk State Trad Institute joined the university. SibFU offers 82 Bachelor degree programs of education, 5s 9 Master degree programs and 30 diplomas are awarded in accordance with the educational standard of the 3rd generation. The university offers 119 post graduate programs of education. 735 teaching and learning complexes are worked out by the university staff to support the academic process. SibFU students get access to the lectures of the professors well-known all over the world. Annually more than 200 visit-professors come to SibFU to teach, and half of them are the leading scientists from Great Britain, Germany, Spain, USA and other countries. At present the university maintains close cooperation with the institutes and universities of Great Britain, Germany, Spain, France, Czech Republic, Slovenia, Italy, Japan, USA, China, Vietnam, Uzbekistan, Turkey, Singapore, Mongolia and Korea Republic. There are joint scientific institutions functioning at SibFU. Institute of Education, Psychology and Sociology of SibFU was founded in January 2008 on the basis of Psychological and Pedagogical department, Institute of Natural and Humanitarian Sciences; Engineering Pedagogical department, Polytechnic University; and Professional Education Chair, Institute of Non-Ferrous Metals and Gold. Informatization of Social Systems department joined IEPS SibFU in April 2010. 1500 students study at EPS SibFU. Olga Smolyaninova, Dr. of Education, Prof., corresponding member of Russian Academy of Education has been the Director of IEPS SibFU from the very beginning. At present IEPS is one of the leading institutes of SibFU . Annually more than 300 graduates leave IEPS SibFU. The seven chairs of IEPS SibFU carry out supervision of the graduate students: General and Social Pedagogy chair, Developmental Psychology chair, Sociology Chair, IT and Lifelong Learning chair, Engineering and Computer Graphics chair, Professional Education chair, Social Technologies chair. ITPS SibFU also includes Organizational department, Sociology and Social Relations department, Retraining and Further Professional Development Center and a university psychological and pedagogical clinics. Psychology, Applied Information Technology, Advertizing and PR, Sociology, Pedagogical Education, Psychological and Pedagogical Education, Professional Training. Educational Management, Management of Pedagogical Innovations, Higher Education, Social and Pedagogical Support of Individual Educational Trajectories, HR Management, Developmental Psychology.